Barley water is a good food,nutritous to every person,an ideal summer drink now a days.Children(some) dont like the smell of it,but you can manage them drinking by preparing in this way. It tastes like a lime juice . 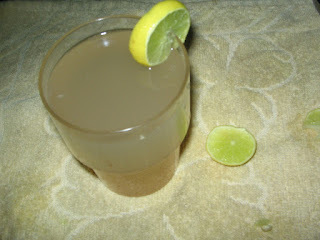 Even for pregnant ladies doctors recommend to drink plenty of barley water. Mix barley powder or seeds with water ,stir well and let it boil . After boiling for 10 to 15 mins,switch off the stove.Cover with a lid. Let it cool.Strain the water if u do it with barley seeds.Add lime juice. Next add honey or sugar .Freeze the barley water and serve chiiled. Discarded Barley can be mixed with oats can make a nutritous breakfast.